I've always loved the wooden floors in our house, but it's funny, since having Ruby and knowing that she will soon be crawling and/or walking around in the not too distant future, I've started considering the idea of carpet more and more. I realise I'm not the first person to have a baby and have wooden floors, but ours are mostly original and some are pretty rickety - I often catch a sock on a nail that's started to protrude, or found a crumbling corner of board and had to discard it. Carpet has had a rough ride of late, I guess it had fallen out of fashion for a while, but I do feel it might be due a bit of a comeback. 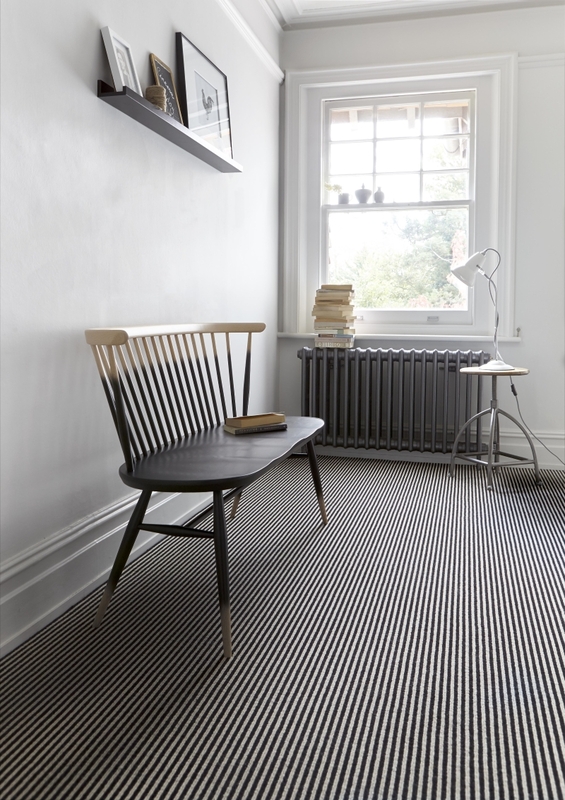 While wooden floors do look great, you just won't get the comfort, insulation and cosyness that a lovely soft pile carpet can offer. I've been having a look around to get some carpet based inspiration, and lo and behold, Carpetright have recently released some images that show that carpet can look really quite lovely. What these images say to me is that you have to be really quite thoughtful about what colour and style of carpet will work with your decor, and whether you want it to be a feature or if you prefer it to be inconspicuous. But also that it can look modern, fresh and cool, as well as being practical. I will definitely be thinking about carpet as an option when we move house later this year, and are making our new home a bit more child friendly. What do you all think? Do you have carpet and love it? Would you never entertain the idea, or are these images making you reconsider the possibility? This post was in collaboration with Carpetright.